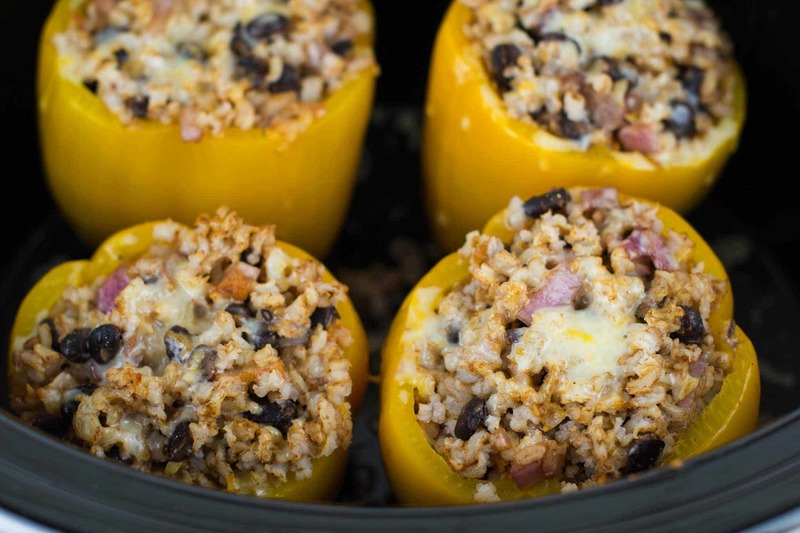 Today I’m bringing you the magic that is stuffed peppers! In case you can’t tell, Mexican food is a staple in our house! 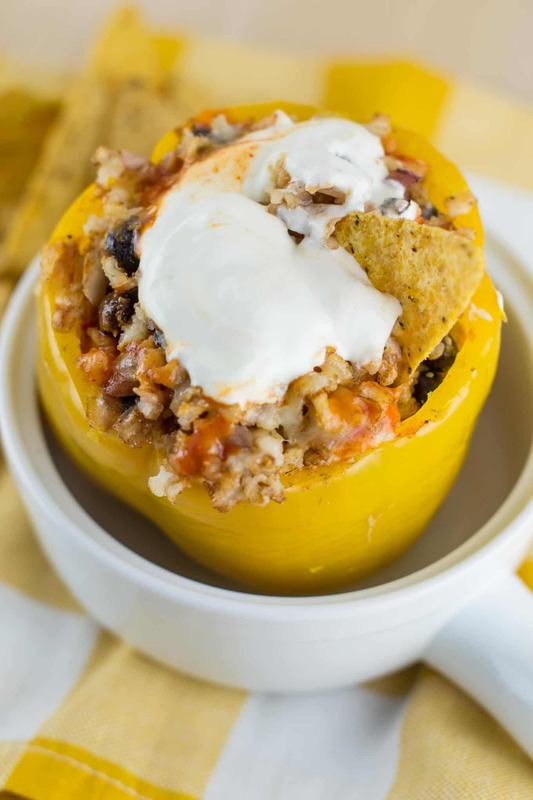 Last week I decided to try my hand at making these vegetarian crockpot stuffed peppers for the first time. 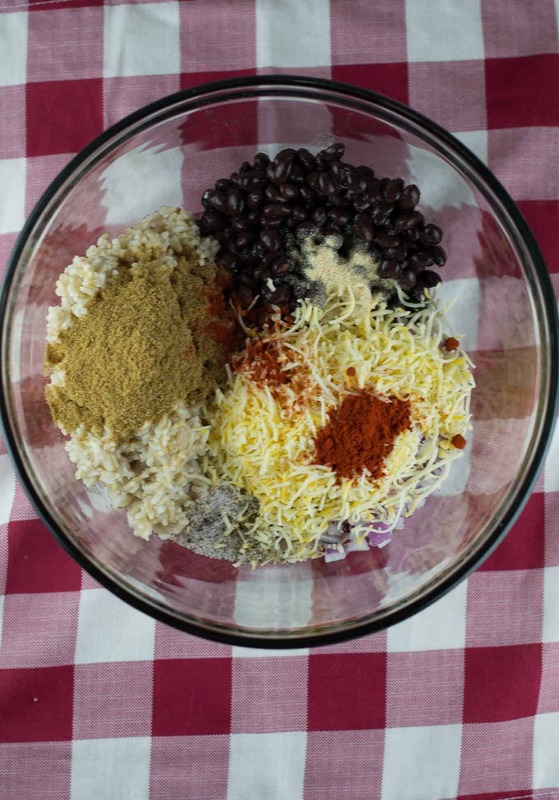 I love crockpot meals because they are so easy to just set and forget. 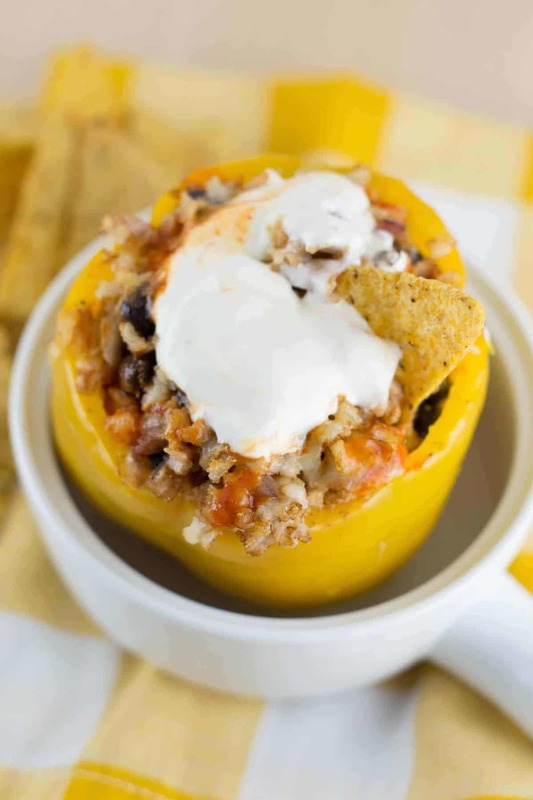 This recipe is no fuss, and literally takes less than 15 minutes to throw together and put in the crockpot! Plus your house smells awesome while it’s cooking! First, cut the tops off of 4 bell peppers and remove the ribs and seeds. Place them in the bottom of your crockpot. I found that 4 large peppers fit perfectly in my crockpot and wedged well enough to keep any from falling over. 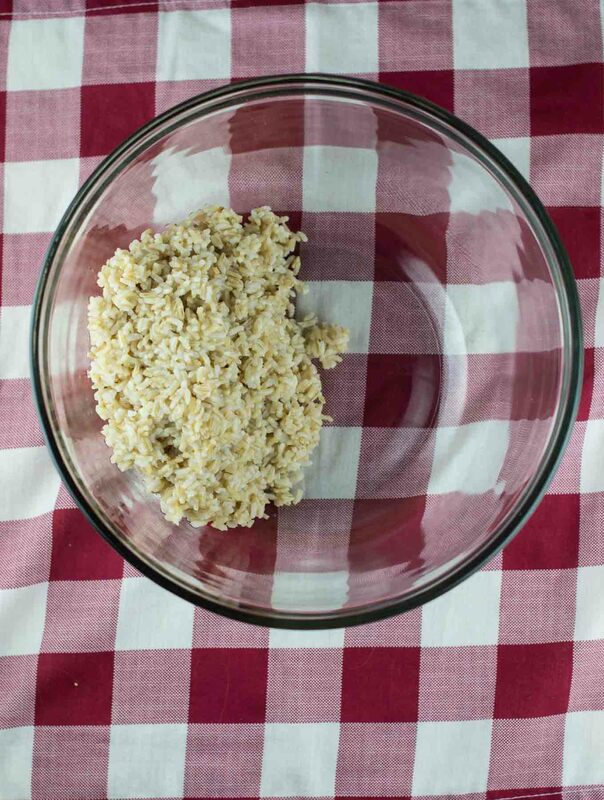 Grab a bowl and we will start with some instant brown rice. 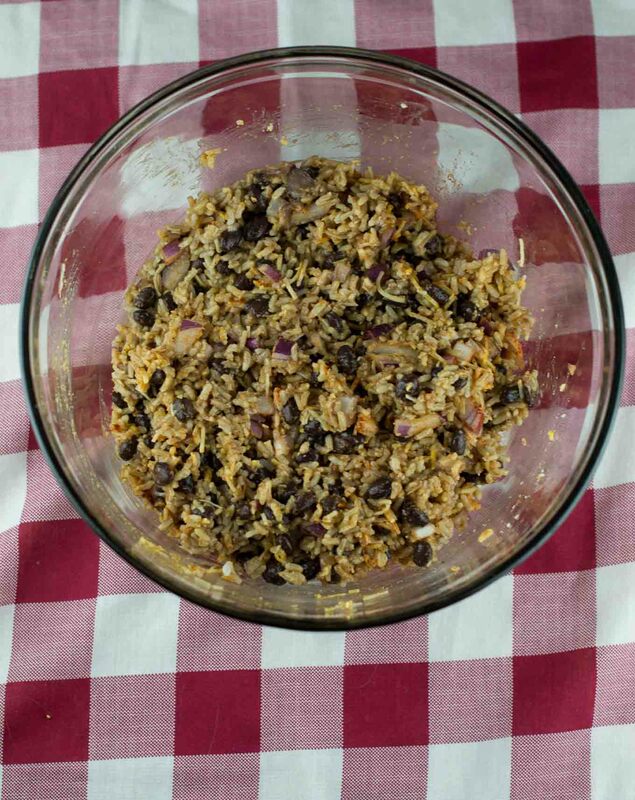 Add some black beans, mexican cheese, and diced red onion. Throw in a few spices and some fresh lime juice. 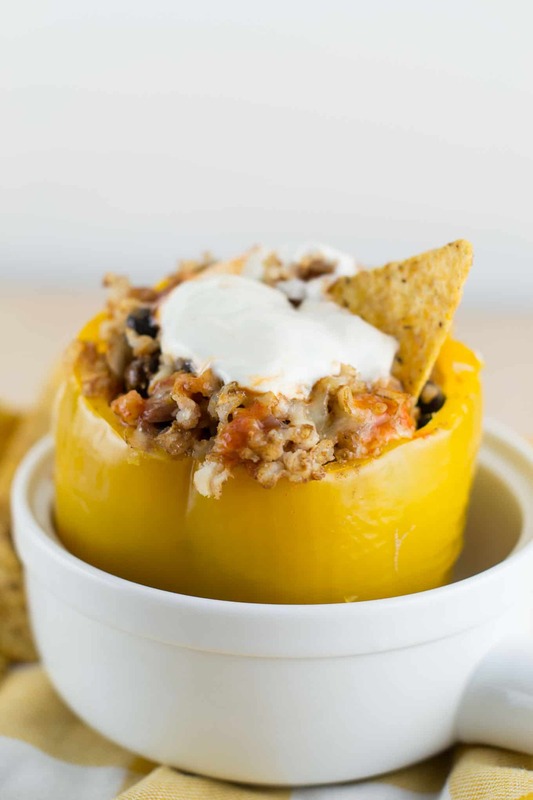 Distribute the filling evenly into the 4 bell peppers. Before cooking, pour 1/2 cup of water into the bottom of the crockpot, this will help the peppers to cook and not stick to the bottom of the crockpot. Cook the peppers on high for 2.5 to 3 hours. 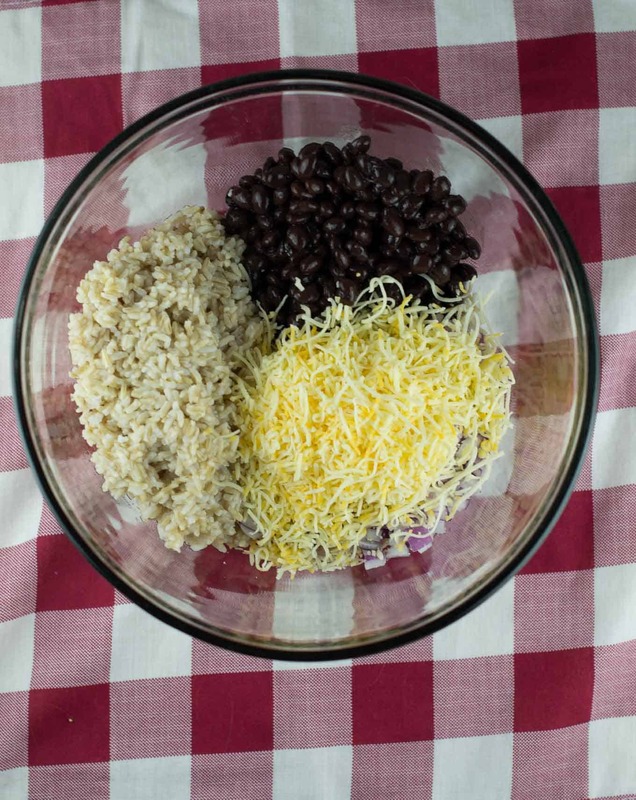 During the last 10 minutes of cooking, remove lid and top peppers with additional shredded cheese. Place lid back on and continue to cook for a few minutes, or until the cheese has melted. The cheese will be all melty and gooey and delicious! You can skip the extra cheese on top if you’re watching calories, but I highly recommend it. You don’t need much and it really adds to the dish! These were amazing and so easy to throw together! 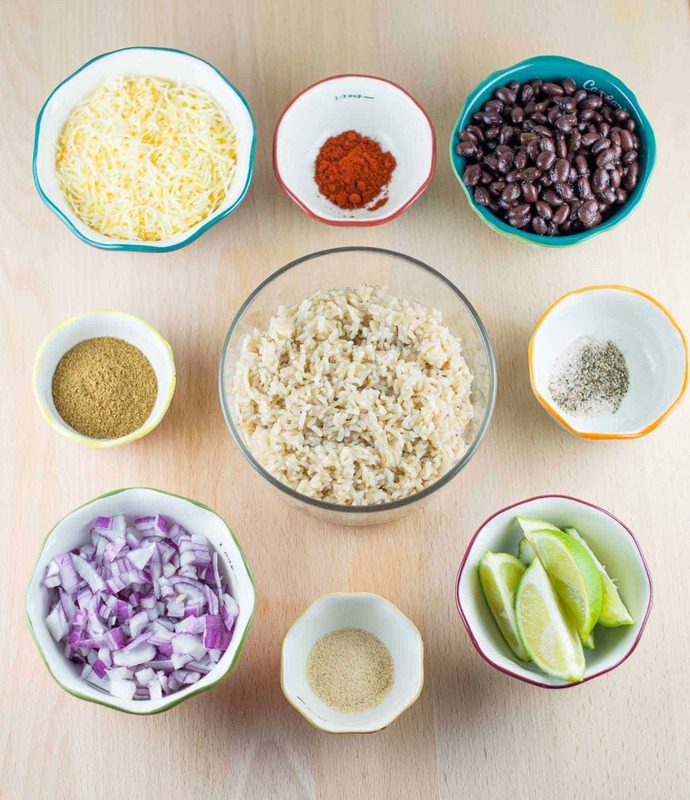 I love mexican food (and so does the hubby), so these were a great dinner for us to have. Top your peppers with hot sauce, sour cream, and more fresh lime if you want, and serve with tortilla chips! We had leftovers for lunch the next day and they were just as good! Cook rice according to package instructions, you will need to measure out 2 cups. These look delicious! Do you think if I kept it in there longer I could get the bell peppers really soft? Or would it overcook the rice? My oldest will only eat bell peppers if they get really soft. Thanks Sabrina! The peppers do get really soft when they are cooked for the full 2 1/2 to 3 hours on high (or low 5-6 hours). The water that the recipe calls for that you pour in the bottom will steam them as they cook and they are soft when done! They look so delicious and healthy. Do you think this would be good with wild rice? Yes, I think that would be a great substitution! Do you think I could do this with 2 peppers in a smaller crock pot? Would I use less water and a shorter cooking time?